ACS Chem Neurosci. 2016 Jun 15;7(6):749-56. doi: 10.1021/acschemneuro.6b00002. Epub 2016 Apr 28. Brief Isoflurane Anesthesia Produces Prominent Phosphoproteomic Changes in the Adult Mouse Hippocampus. Kohtala S, Theilmann W, Suomi T1, Wigren HK2, Porkka-Heiskanen T2, Elo LL1, Rokka A1, Rantamäki T.
Anesthetics are widely used in medical practice and experimental research, yet the neurobiological basis governing their effects remains obscure. 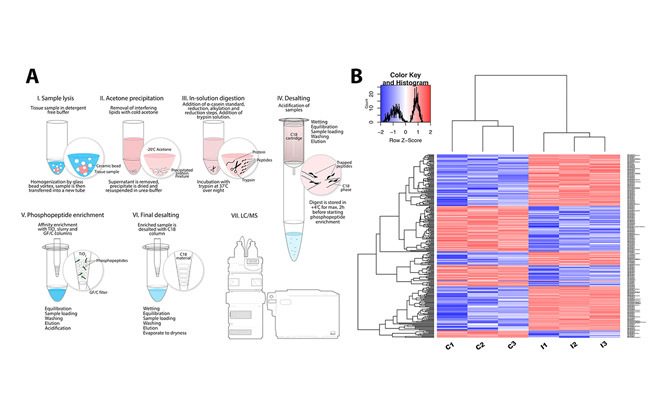 We have here used quantitative phosphoproteomics to investigate the protein phosphorylation changes produced by a 30 min isofluraneanesthesia in the adult mouse hippocampus. Altogether 318 phosphorylation alterations in total of 237 proteins between sham and isofluraneanesthesia were identified. Many of the hit proteins represent primary pharmacological targets of anesthetics. However, findings also enlighten the role of several other proteins-implicated in various biological processes including neuronal excitability, brain energy homeostasis, synaptic plasticity and transmission, and microtubule function-as putative (secondary) targets of anesthetics. In particular, isoflurane increases glycogen synthase kinase-3β (GSK3β) phosphorylation at the inhibitory Ser(9) residue and regulates the phosphorylation of multiple proteins downstream and upstream of this promiscuous kinase that regulate diverse biological functions. Along with confirmatory Western blot data for GSK3β and p44/42-MAPK (mitogen-activated protein kinase; reduced phosphorylation of the activation loop), we observed increased phosphorylation of microtubule-associated protein 2 (MAP2) on residues (Thr(1620,1623)) that have been shown to render its dissociation from microtubules and alterations in microtubule stability. We further demonstrate that diverse anesthetics (sevoflurane, urethane, ketamine) produce essentially similar phosphorylation changes on GSK3β, p44/p42-MAPK, and MAP2 as observed with isoflurane. Altogether our study demonstrates the potential of quantitative phosphoproteomics to study the mechanisms of anesthetics (and other drugs) in the mammalian brain and reveals how already a relatively brief anesthesia produces pronounced phosphorylation changes in multiple proteins in the central nervous system.ssimi.